Quality materials and construction in new, one-piece tag. Custom marking and numbering available by special order. Self-piercing, pinhole tip means faster healing, reduced animal stress. Sizes for cows and calves. One-piece tag engineered for retention and readability. Small oval incision of Allflex Feedlot Tag results in quicker healing. Large panel for multiple lines of information and custom marking. Apply with Allflex Feedlot Applicator (Manual or Air). Unique shape with more panel space for marking. Engineered neck and shoulder to reduce twisting. Advanced pliable material for longevity and easy stamping. Custom marking and on-site hot stamping options. Fast application with the Allflex Easy Applicator Knife. 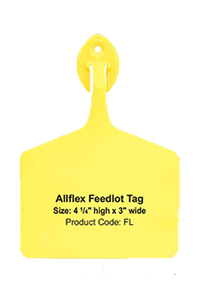 Allflex Global Tags are packaged standard in sets of 25 – blank or numbered sequentially. Other tag combinations are available upon request. Available in a Variety of Sizes: for cattle, calves, pigs and piglets, goats and sheep. A must for applying All ex 2-piece Global Tags. Also used to apply All ex Tamperproof TM and EID Tags and most major brands of insecticide tags. Replacement applicator pin located in handle replacement parts available. While Z Tags has earned an enviable reputation for its cow and calf ear tags, our feedlot cattle ear tags are second to none. Our unique pivoting one-piece applicator pin makes loading quick and easy while eliminating ripped ears. 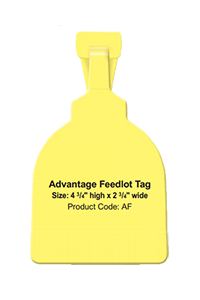 Z Tags feedlot ear tags are easier to read than other tags, from front or back. That comes in handy in a crowded feedlot. 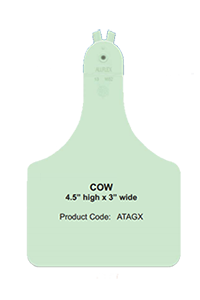 We also carry visual ear tags by Y-Tex, and Ritchey! Our self-piercing tag tip makes a clean, precise incision, helping to prevent infection and disease transfer. The back of our ear tags will not snag and pull out or break off like other tags, saving you the cost and inconvenience of re-tagging. 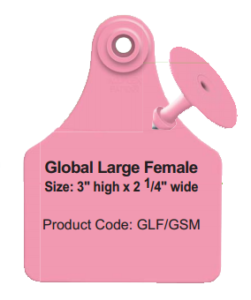 Dark laser or hot stamp printing and long neck calf tags make Z Tags easier to read from front or back. 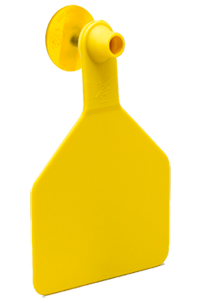 Unique pivoting one-piece applicator pin makes loading ear tags easy while eliminating ripped ears. Advanced two-piece ear tag design ensures that the back of the tag will not snag and pull out or break off. Tag rotates freely and hangs correctly to ensure better readability from front or back. 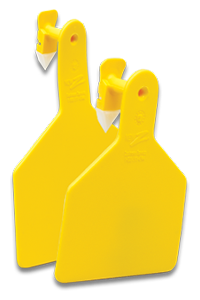 Patented two-piece ear tag applicator is designed for fast and easy tagging. (also available here). 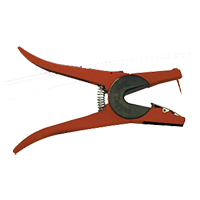 Unique pivoting two-piece applicator pin makes loading easy while eliminating ripped ears. Exclusive self-piercing tag tip makes a clean, precise incision to prevent infection and promote faster healing. Meets or exceeds specifications for regulated animal identification programs as well as breed association and official ID programs. 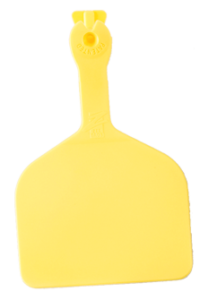 Patented one-piece tag applicator is designed for fast and easy tagging. (Also available here).